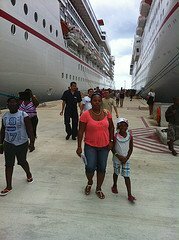 Norwegian Caribbean Cruise Line offers many exciting vacations from U.S. homeports to beautiful Caribbean destinations. 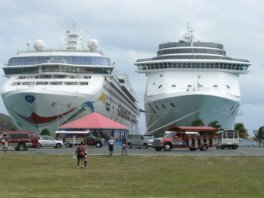 The cruise line sails to several places, but this webpage will focus on Caribbean cruise ship vacations offered by Norwegian Cruise Line. Norwegian Cruise Line has been offering 1,000's of available cabins to the Caribbean for many years and continues to add more. Their biggest ship, the Norwegian Epic, has received awards for its cruise offerings and for being the first to bring Nickelodeon and the Blue Man Group to the high seas. Between 2013 and 2014, Norwegian added two phenomenal ships to its Caribbean offerings - Norwegian Breakaway and Norwegian Getaway. And in 2015, the Norwegian Escape arrived with bells and whistles to whisk you away to more fun in the sun! You will find a long list of Norwegian Caribbean cruises from which to choose. Note: The information given here is subject to change, because cruise lines re-position their ships as they deem necessary. Norwegian has two ships, Norwegian Breakaway and Norwegian Gem, that offer cruises from New York to the Bahamas and the Caribbean. The Norwegian Epic currently offers Caribbean itineraries from Port Canaveral. 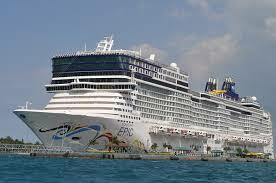 Most Norwegian Caribbean Cruise Line itineraries are based out of Miami Cruise Port. At the time of writing, there are seven (7) Norwegian ships sailing from South Florida to the Bahamas and the Caribbean: Norwegian Escape (newest ship), Norwegian Getaway, Norwegian Jade, Norwegian Jewel, Norwegian Pearl, Norwegian Star and Norwegian Sun. Note that some of the Norwegian ships above offer limited sailings from Miami. Norwegian provides sailings from the Tampa Cruise Port aboard the Norwegian Jade. The beautiful Norwegian Dawn and the Norwegian Pearl provide cruises from New Orleans to the Caribbean. Are you now thinking that you should book a Norwegian cruise ship vacation? Would you like to get a quick look at one of the beautiful vessels before booking? Meet the Norwegian Getaway, on of the newest Norwegian Caribbean cruise lines. Now that you are convinced that you should "sail like a Norwegian", you should be happy to know how easy it is to book your Norwegian Caribbean cruise. Use the search box below to search for and book your cruise ship getaway. 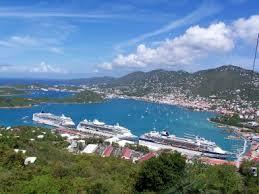 I hope that you have found the information on Norwegian Caribbean Cruise Line sailings helpful. 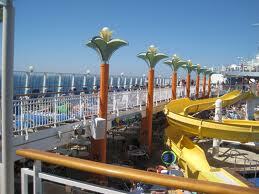 Even more so, I urge you to book your Norwegian getaway and go have an exciting time with your family. I guarantee that you will make lasting memories on any cruise ship vacation taken with Norwegian Cruise Line.